Hello. 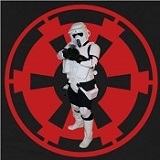 I am a member of the Nar Shaddaa base with the Rebel Legion and would like to be set up so I have RL access on the MWG site. I would like to be able to see and rsvp to upcoming events. Thank you. Truly wonderful the mind of a child is.